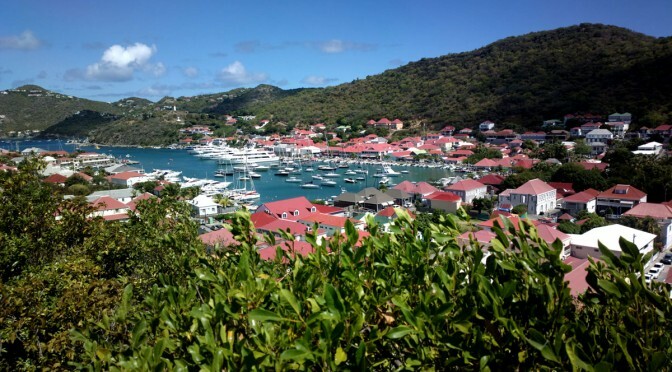 Saint Barthélemy (St. Barths in English) is one of the islands of the Lesser Antilles in the Caribbean Sea. The island is very beautiful and it’s history interesting. I visited it in March 2014. 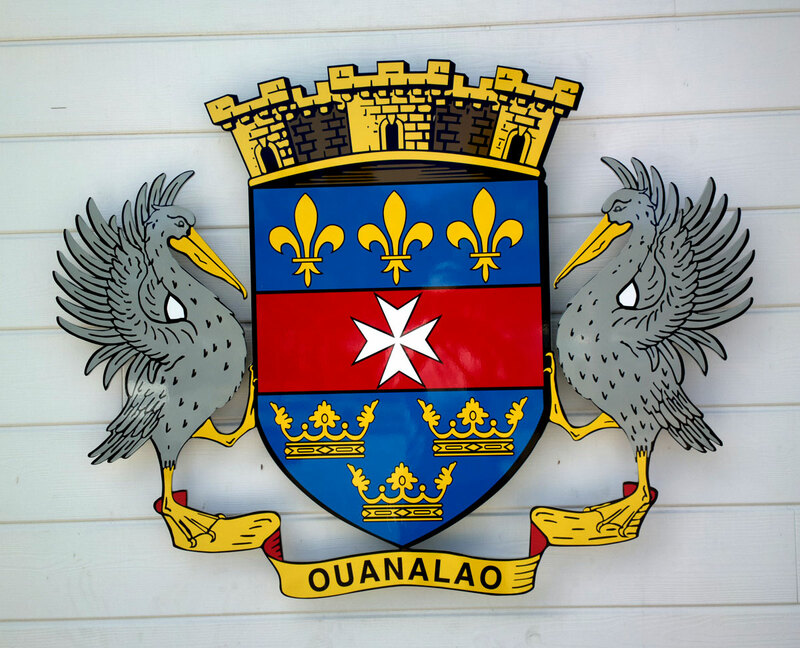 The coat of arms of Saint-Barthélemy shows those who have ruled the island. The three gold fleurs-de-lis on blue for France. The white Maltese cross on red for the Knights of Malta and the three gold crowns on blue for Sweden. “Ouanalao” is what the indigenous people called the island.